Chris coco監修mixCDをsea of green recordsからリリース決定!!! 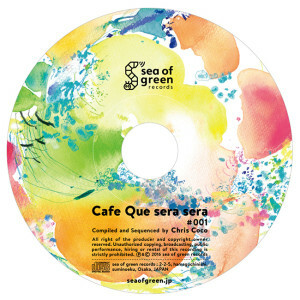 sea of green recordsよりChris coco監修mixCDが6/6 Mon.にリリース決定しました!!! One of our favorite artist from UK, Chris Coco will release original mix CD of cafe que sera sera, from sea of green records! Not only the tracks his own stuff but Calm, Soichi Terada, is in the Mix! Enjoy with the excellent barbaric sound.